Renovation and construction work usually bring exciting results. However, the first phase of their completion can be annoying and really tiresome: the after builders cleaning. After the construction workers have left the house, you will need to remove very carefully all dust, impurities and grout. Probably every single person dreads the scrubbing and dusting from all walls, floors, furniture. What is more important, it can be extremely painful to take out stubborn paint, glue, cement or foam stains. Therefore once the building work is over, turn to the specialists from Royal Cleaners for a thorough and detailed post builder cleaning. Just dial 020 3637 8979 and leave all the hard work to us! During the pos-builders cleaning removing dirt and dust from all surfaces, regardless of type and size. Cleaning skirting boards, railings, window sills, door and window frames. Disinfection of all utilities, visible pipes and tiles in the bathroom, toilet and kitchen. Most importantly, we will leave no traces of paint or construction dust behind at the end of the renovation cleaning. Basically, you can modify this list as much as you wish – we want to be of as much help as possible so you can successfully complete your builders clean. To successfully accomplish each project, we will send a team of professional cleaners who will use modern industrial equipment, latest technologies and high-quality materials that are completely harmless to people and pets alike. Our teams will have at disposal powerful vacuum cleaners, steam cleaners, scrapers, scrubbers, power washers, etc. 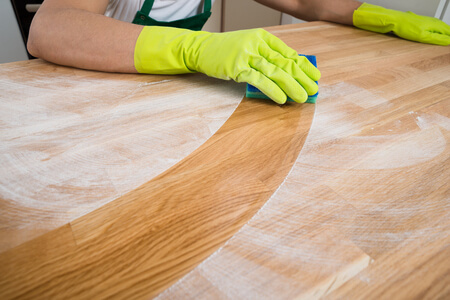 Above all, Royal Cleaners ensure you the highest professional standards for any type of post-renovation and post construction cleaning of your property. In the first place, all of our after builders cleaners have completed numerous educational courses. Their knowledge, combined with their year-long experience is a guarantee for the extraordinary results that we promise. The post-building cleaning is an hourly rate service and according to the size and state of the premises, we can provide you with an estimated duration. In the case of, the after builders cleaners complete the cleaning service prior the agreed time or they will need an additional time, we will be happy to amend the price accordingly. Just have in mind that minimum charges apply for booking a new build cleaning. Naturally, our construction site cleaning service does not have to come alone. You can easily combine it with any one of our other services, and without even moving a finger, enjoy a clean and ready to move-in home! Take advantage of the expert Carpet and Upholstery Cleaning, One-off Cleaning or End of Tenancy Cleaning. 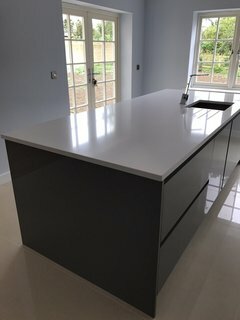 020 3637 8979 or send us online request and easily book your professional After builders cleaning service.